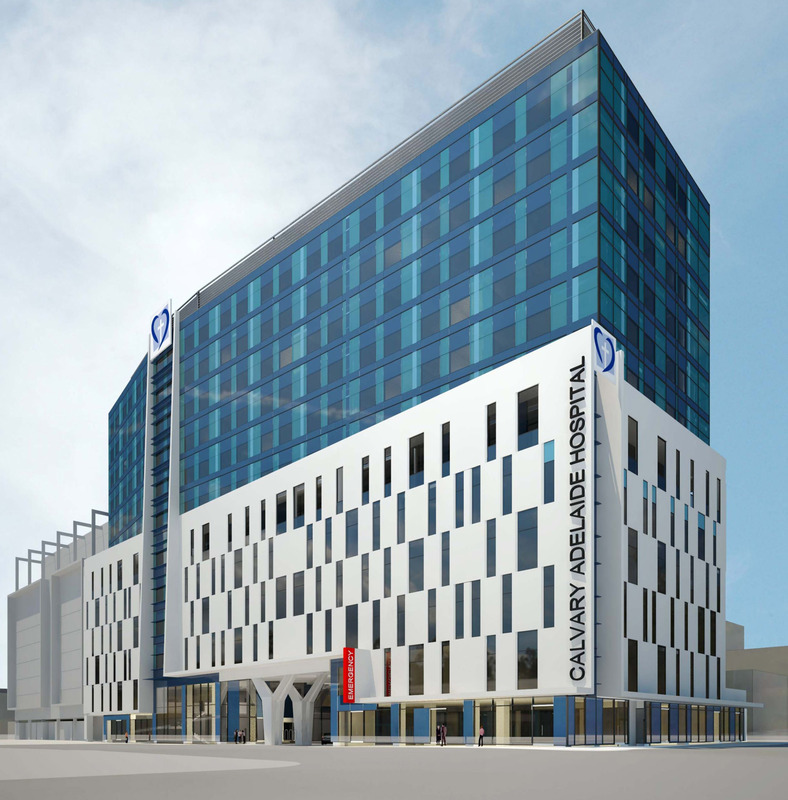 Not-for-profit Catholic health care provider Calvary is a step closer to constructing a large new hospital in Adelaide’s CBD. The $250 million, 12-storey private hospital would replace three facilities: Calvary Wakefield Hospital and the Wakefield Surgicentre in the city, and Calvary Rehabilitation Hospital in Walkerville. According to Calvary CEO Rob Wise the hospital would “represent a 50 per cent capacity growth” over the facilities it is proposed to replace. “It’s going to generate economic activity and … restimulate that part of the city as well,” said Wise. Wise said parts of the facilities the hospital would replace are no-longer “fit for purpose”. “What we’re doing with this new proposal is bringing those three facilities in one building,” he said. The hospital would be constructed over Bath Lane – which opens to Pulteney Street and Angas Street. Adelaide City Council will tonight vote on a council committee recommendation to give in-principle support to the sale of Bath Lane to accommodate the hospital. Under the proposal, Adelaide City Council would sell the east-facing end of Bath Lane, which opens onto Pulteney Street – between Wakefield Street and Angas Street – with a commitment from Calvary to widen and improve the lane to become the hospital’s entry. The south-facing end of Bath Lane – which opens onto Angas Street – would also be sold. Adelaide City Council will tonight vote on whether to authorise the closure and sale of the lane. Meanwhile, Calvary’s dispute with insurer Medibank Private over the breakdown of their contract negotiations continues. As of next Monday, thousands of patients insured with Medibank Private will be forced to pay more for treatment at Calvary hospitals, should the breakdown in negotiations remain intractable. Medibank gave notice it was terminating its contract with Calvary earlier this year, saying that the not-for-profit was refusing to accept new contractual conditions to which other health providers had agreed. “Medibank is deeply disappointed that (Calvary) has been unwilling to accommodate Medibank’s request to share the load of keeping healthcare affordable for our members, while also improving our members’ healthcare experience,” a spokesperson for the insurer said earlier this month. According to a Medibank spokesperson, patients will still be able to claim for hospital treatments at Calvary health care centres if the contract is not renewed, but the hospital will be able to charge extra costs. However, Calvary has argued the insurer is using its market power to impose measures on hospitals that will not improve health care. The proposed hospital has yet to be approved by the Development Assessment Commission.